Analysing the details of your telecommunication activities allows you to gain valuable market insight, re-focus your marketing efforts, boost sales and increase customer satisfaction. Call statistics supply quantifiable data on your numbers through an easy-to-use interface readily accessible online; pull information quickly and never miss an opportunity. One of the most cost effective ways to enhance your business is to record your staff calls. Well handled calls and those that require improvement can be used for staff training and productivity. Compliance is often a further reason to record calls, for fault resolution and dispute handling. Record calls across multiple users and departments through our online portal. Manage how your business calls are answered during the day and out of hours. We give you access to your phone system through an online portal which is simple to log in to, edit your preferences and save the changes. As the portal is online, you can take control from any desktop, tablet or mobile device. Making your telecoms setup simple and cost-effective. 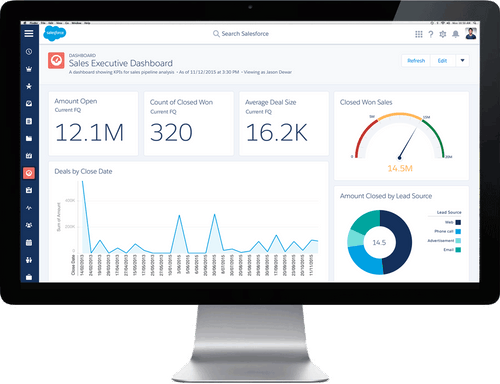 Your company CRM or stock and ordering system is the most powerful cog in your business as it contains all your customer information and helps your staff to interact seemlessley with your client. Our system generates live in-call screen popups which can guide the agent through the client's history. Allowing you to build deeper relationships with your clients. Managing a modern day workforce demands flexibility and our softphone plugin allows just that. The softphone provides your staff with the functionality to handle incoming and outgoing calls no matter their location or which device is available with internet access. Giving flexibility of staff not being tied to a desk or conventional hours. 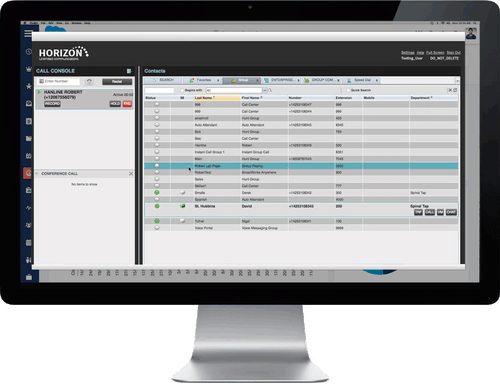 It is the most cost effective and effortless way of managing business calls across staff, departments, multiple offices, branches and businesses. 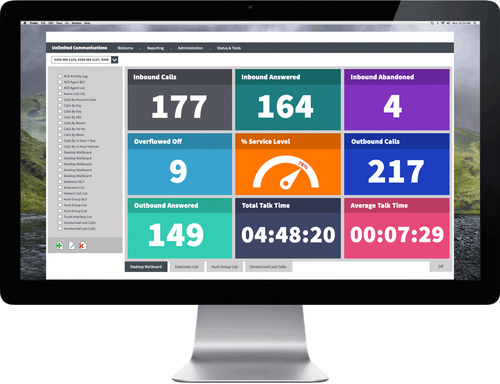 Ensure that every one of your calls is answered professionally and efficiently with our hosted receptionist console; prioritise calls, manage queues and monitor wait times through your phone system.